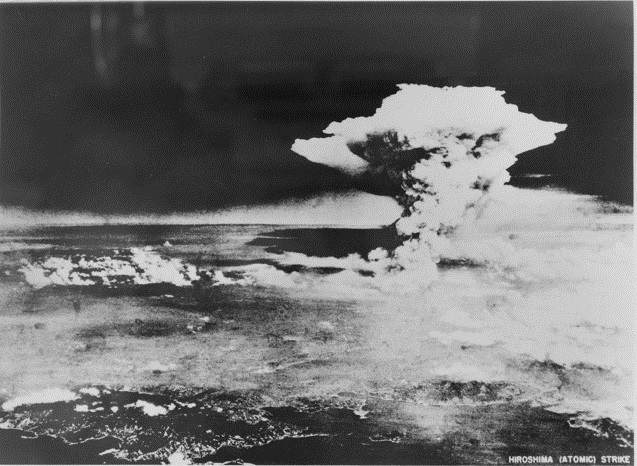 It’s been 70 years since a nuclear bomb was detonated in anger, a remarkable achievement given that the bombings of Hiroshima and Nagasaki both happened within one month of the Trinity test. Another 840 months have passed without a recurrence—through Korean War, Cuban missile crisis, South Asian, South Atlantic and Middle Eastern conflicts. Not only have nuclear weapon states not used nuclear weapons against each other, they haven’t used them—as the US did against Japan—against non-nuclear-armed states. As T.V. Paul has observed, that constitutes an impressive tradition of non-use . The tradition, Paul argues, stems from two factors: the horrendous consequences of nuclear-weapon use and, therefore, the reputational costs to the state using them. Those reputational costs induce policies of self-deterrence amongst nuclear weapon states—hence, a tradition. Where Paul talks of a tradition of non-use, Nina Tannenwald claims something stronger, namely a nuclear taboo . Paul and Tannenwald raise an intriguing question: what’s the principal driving force behind non-use? Most strategists might think it’s merely deterrence. But that’s an unsatisfying answer, or at least an incomplete one. Mutual deterrence relationships simply don’t exist between all of the world’s nuclear weapon states and their potential opponents. Besides, deterrence lies in the eye of the beholder. Seventy years down the track, we might reasonably expect to be able to draw upon a wealth of autobiographies of national leaders observing that it was fortunate they were deterred from resorting to nuclear use. No such treasury exists. Does the concept of a taboo or a tradition provide better explanatory purchase? If the principal driver behind non-use is a taboo, the use of nuclear weapons is unthinkable. But nuclear employment planning by the nuclear weapon states (see here , for example) suggests use is entirely thinkable. And empirical research in 2011 by Darryl Press, Scott Sagan and Benjamin Valentino found that the American public had a relatively weak aversion  to use of atomic weapons. Moreover, public thinking about the possible use of nuclear weapons was driven primarily by consequential considerations rather than any normative rejection of such use as ‘unthinkable’. And there’s the rub. I think the tradition is largely the second-order effect of the predominantly stable nuclear order that’s existed since 1945, and which has confined the bulk of nuclear weapons to the hands of the P5. Keeping the weapons largely corralled in the hands of self-deterred great powers looks like a major explanatory variable behind the effect. I’m also reminded of Thomas Schelling’s thought  about those decisions which might end the tradition. Schelling argues that if an actor chooses to break it, it should be for something important. That’s an entirely sensible position—and the kind of thinking one should expect from a responsible great power. But, again, its strength varies from actor to actor. Not all enjoy a wide spectrum of policy options. Some are known to toss their gloves about—not on every provocation, perhaps, but on a worryingly high percentage. In an extreme case, nuclear-armed terrorists might well rush to employ even a crude explosive device. What’s the conclusion? We shouldn’t take too much comfort from seventy years of non-use. It’s an order-generated effect, and turns upon the durability of the nuclear order, as well as on the severity of challenges to the broader geopolitical one. Rod Lyon is a senior fellow at ASPI and an adjunct senior research fellow at the Griffith Asia Institute. Image courtesy of the Australian War Memorial.